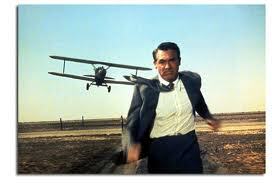 Had you asked me 5 years ago for which role would I be most prepared – dad, family cook or crop duster – I would have absolutely chosen crop duster based solely on the fact that I’ve seen “North by Northwest” a ton of tim es. As I sit here now, two of those roles largely define my existence and I have yet to dust even one crop. Hey, I can admit when I would have been hypothetically wrong. What is interesting to me, though, is that not only are these roles of dad and cook, for which I felt totally ill-equipped, central to my place in the world at the moment, they – along with being an adoring husband – are now responsible for the vast majority of my joy. I get to be madly in love with my wife, Holly. I get to stay at home and raise my daughters AS MY JOB. And I get to physically sustain the three people who mean the most to me in the world. Wow. That said, these roles haven’t come easy (ok, loving Holly is a piece o’ cake, but that is what led to the other two, so I think that also qualifies in some way). As any parent can attest, parenting is unequaled in difficulty. There is no more demanding, less static or more important job that I could imagine. That is a recipe for a challenge. An unspeakably wonderful challenge, but a challenge nonetheless. To begin this challenge, though, we all start from the same zero point. Granted, some of us were incredibly fortunate to have fantastic role models (Thanks, Mom and Dad), but none of us entered into it with any practical experience whatsoever. As for family cook, however, that role comes easier for some than for others. When I met my wife a little over 8 years ago I couldn’t cook anything. I could order a mean carne asada burrito and I knew exactly what I liked on a pizza, but the path from ingredients to meal eluded me badly. I learned a bit as she patiently let me play kitchen with her in our early years, but I still was looking way up at novice. Then we got pregnant. At this point in our lives together I was a bartender and she was a Doctor of Oriental Medicine so the decision as to whose job would be sacrificed to the Gods of Child Rearing was a pretty easy one. The problem was that I had only nine months to really figure out my new path. Realizing that my wicked mojito skills were not going to serve me in my new position, I threw myself into reading cook books, scouring the internet and watching cooking shows. It also helped that Holly, as a DOM, was an expert in diet and nutrition. I learned a lot and I practiced a lot – after all, Holly was pregnant. Flash forward about 4 years to our lives now. We have our two girls, Holly has a very busy practice and I am Dad and Cook (like I said, still no crop dusting – too busy). We make the very best choices that we can regarding how we eat and, armed with Holly’s expertise and a few years of learning under my apron, that means gluten free and nearly vegan cooking. I say nearly vegan because none of us have cut out animal proteins entirely, nor do we intend to, but all of our meals cooked at home are basically vegan these days. It makes sense for us. As for the gluten free aspect of our diet, that is adhered to very strictly – for more than a couple of us, the stuff just makes us sick (there is a great argument that no one should be eating gluten, but I’m not going to go into all of that here – I will leave that for my wife to speak upon: Hol?). So, this last week my brother in law, Jason, who believes in eating like we do, is deciding on the menu for his birthday dinner and for dessert he says “I want those muffins that Mitchell makes”. Oh, how our lives have changed. With some very great effort and mountains of support, I have gone from culinarily clueless to being able to develop some recipes for things that are healthy, nutritionally valuable and, at the same time, good enough for MY BROTHER TO WANT FOR HIS BIRTHDAY DESSERT. That is joy. I am so proud to be able to say that I can now confidently and capably take real food and make healthy things that the people I love so much crave for their most special dinner of the year. I am honored. I am humbled. And you’re damn right I am the Muffin Man. *Pop’s Note – The recipe for the aforementioned muffins can be found in the “muffins” hyperlink in this post or it can be found in the “Recipes” tab under the header banner. Enjoy! This entry was posted in Uncategorized and tagged cooking, dad, food, gluten free, happiness, joy, muffins, recipes, stay-at-home dad, vegan. Bookmark the permalink. I love this post! From one who eats very much the same as you do (doctors orders you know!) I would never have thought for a second that you weren’t born cooking. I am always wondering what you are cooking and how I can possibly get my hands on some of it. Short of just showing up at your doorstep at mealtime, I wait patiently for the next time some of those delights float my way! It is a real treat to eat what you have made. Really Mitchell you are quite the talent. Don’t be surprised if you start seeing my kids at your door at meal time. They don’t look like thy need food, but really I am boring them to tears in culinary department! Love reading these posts. PS…crop dusting is way overrated! You make me smile, Meka. Those boys (all 3 of them) and you are welcome anytime! You just added a couple more smiles to my day. Now you know why cooks (usually mothers) always want you to “have some more”; it’s a way to show love. You are really a good cook-a bit messy though! One thing at a time, Mama! Thank you. So ah, the synchronicity thing- you’re killing me smalls… I just created a most fabulous casserole composed completely of vegetables we grew right in our very own garden… Sweet taters, zucchini, homemade tomato sauce (+quinoa) It took me a ridiculously long time and I made a giant mess… but I made a lot, and I made it for people I love: my mom, my grandparents, and me! MMmmmm Mmmmmm delicious! I am really enjoying this, Mud. Clearly, we need to continue writing for each other (and cooking). What should our next shared experience be, my friend?